icarus Quartet presents a world premiere from composer Michael Laurello alongside iQ favorites by Paul Lansky and Steve Reich. Praised for being “thoughtful, accurate and always inspired and exciting” following their Carnegie Hall debut, icarus Quartet is the latest chamber phenomenon to emerge from the Yale School of Music. 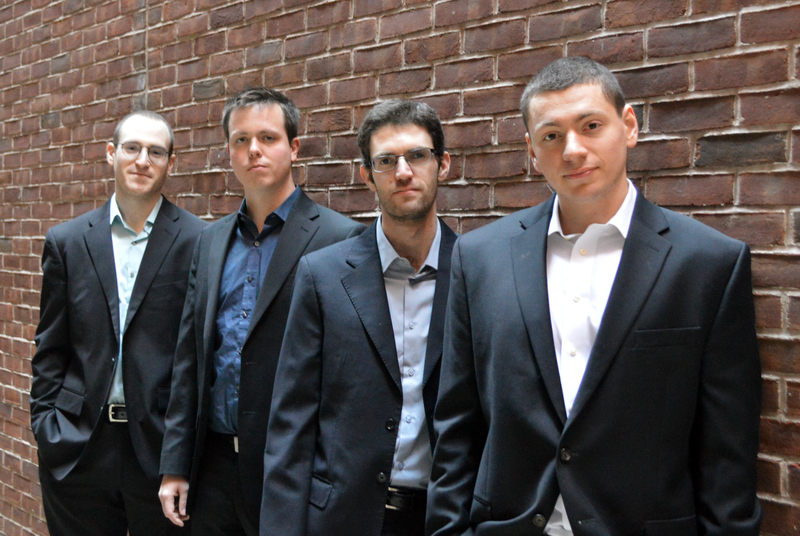 While pursuing their graduate degrees, the members of icarus Quartet were brought together to represent Yale in its prestigious concert series, Yale in New York, with the Yale Percussion Group under the guidance of Robert van Sice. icarus Quartet’s mission is to explore the repertoire composed for two pianos and percussion in the 20th and 21st centuries, while aspiring to new heights of artistry and excellence. The ensemble’s repertoire spans the entire history of the medium, starting with Bartok’s seminal Sonata for 2 Pianos and Percussion, and including the most recent works by living composers, such as Paul Lansky and Steve Reich. icarus is also an enthusiastic advocate of contemporary music, especially by young composers, and has recently commissioned a piece by award-winning composer Michael Laurello.